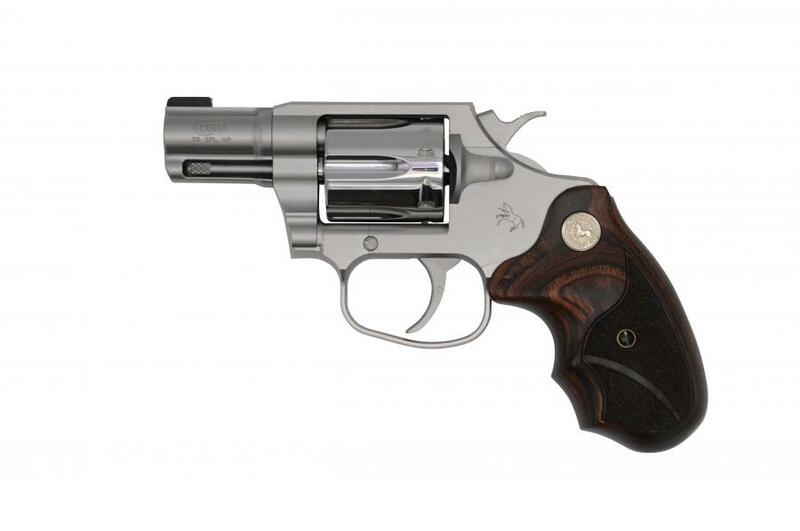 This classically styled version of the Cobra .38 Special +P revolver is sure to turn heads. The Cobra Classic features a polished cylinder, medallion wood grip, and brass bead front sight. With the same legendary Colt leaf spring trigger and superior ergonomics, you'll be sure to love this flavor on a new Colt Classic.